Looking for a Local Tooth Implant Dentist in Maryland? We are a One Stop Dental Implant Center. Teeth Implants are the Best Way to replace teeth. Our Implant Specialists Permanently Replace a Tooth or a Full Mouth of Teeth with Implant Teeth. Our Implant Doctors do Implant Surgery and Implant Crowns. Tooth replacement is one service performed by one dentist at one location – Cosmetic Tooth Colored Implants are not available. Tooth Implant Surgery without a 3D Xray is like pretending the earth is flat. It is necessary to see all 3 dimensions of the jaw to avoid hitting and damaging vital structures such as nerves. 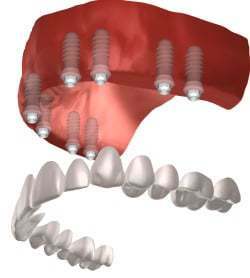 The ICAT will show a 3D image of your entire upper and lower jaws for purposes of implant teeth planning. 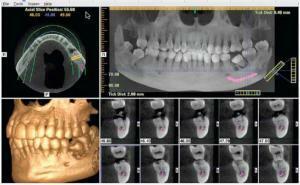 The system is a new and state of the art system for implant imaging. If Need be we offer Natural Bone Grafting and PRF Platelet Rich Plasma for generating the bone and gum needed for implants. Is it necessary to get Bone Graft with Dental Implant Surgery? Preservation of Mouth and Facial Structures and Facial Muscles. Your face will not shrink and sink in if you have dental implants. 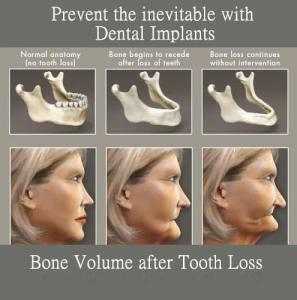 Implants stimulate bone and prevent bone loss. You will maintain healthy chewing and digestive function. Loss of teeth results in people swallowing food whole. Unchewed food in the stomach, gets stuck, ferments and causes digestive disease. There is no greater immediate negative impact on health than tooth loss. When Should a Tooth be Replaced with a Dental Implant? A tooth is best replaced the day it is extracted – Immediate implant placement. The best way to avoid expensive Gum Grafting and Bone Grafting is to prevent Bone loss and Gum loss by never going without a tooth or Dental Implant. Our Implant Doctors can provide complete tooth replacement services including Implant placements and Zirconia Teeth. We Offer Titanium and tooth-colored non-metalic Zirconia Implants. Our Implant Specialists will carefully choose the Tooth Replacement option best suited to your needs and situation. We Accept all major Dental Insurance, Credit Cards and also offer easy financing options such as 12 months Interest Free Financing. The least expensive way to replace a mouth of teeth is with conventional dentures. Dentures are not stable, meaning they become dislodged while eating and sometimes even when talking. Dentures are only 20-40% as functional as natural teeth and dental implant dentures. Many denture wearers suffer from weight loss, constipation and acid reflux. Teeth are responsible for chewing food into smaller pieces, so nutrients can be absorbed and enter the body. When food is not properly chewed it gets stuck in the stomach, ferments, causing indigestions, acid reflux, bloating, constipation and malnourishment. When teeth are removed and not replaced with implants, there is loss of bone, shrinkage of facial structures and facial muscle atrophy. One of the quickest ways to look 10-20 years older is to have your face sink in and collapse after a full mouth of extractions and dentures. The advantages of seeing a teeth implant professional for implant supported replacement teeth are: 80-100% of chewing function as natural teeth, minimal loss of bone, no sinking of facial structures, maintenance of digestive health, improved cosmetics, removal of all dental infections. What are Implants for Teeth? What are Tooth Implants? A tooth implant or dental implant is a piece of titanium, zirconia or ceramic shaped like a root. The new “root” made by various pharmaceutical companies come in several different sizes and shapes. Implants are placed into the jaw where the patients bone and gum grows around and attach after a healing period. Once the implant has healed (2-4 months) a dentist can place crowns, bridges or an entire mouth of teeth. Any health person, with adequate bone who is not allergic to the material is a good implant candidate. Yes. most implants will last a lifetime and are permanent. Do Implants stay in the mouth? Can dental implants fall out? Implants do stay in the mouth and should not fall out during eating or talking or in general. 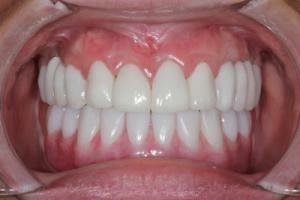 The exception is implant overdentures which are designed to be taken in and out by the patient. How much is one tooth implant? 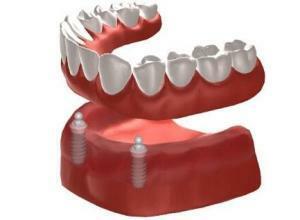 How much is one dental implant? the implant root is $1500 – $3000 depending. For a single tooth, the implanted root will need an abutment and crown. Most patients think “tooth” when they hear “implant”. The implant is the root depending, the dentist will place crowns, bridges, dentures, etc. For single teeth you will pay for implant, abutment, crown at the very least. Sometimes it is necessary to have gum and bone grafting too. 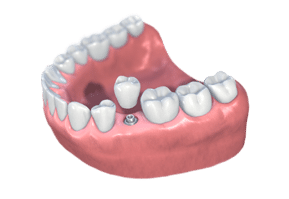 but if all is need is implant, abutment and crown, the cost is $3500 -$6000 depending on the kind of implant, who is doing it and where the service if performed. Who does dental implants? What kind of dentist does implants? generally implant surgery is done by a general dentist with implant training or a gum specialist (periodontist) or oral surgeon. No one dentist kind “specializes” in dental implants. A good general dentist may be the best option, since general dentists can be trained in implant surgery as well as crowns, bridges and dentures. How much are full mouth dental implants? to replace an entire mouth of teeth with dental implants costs between $30K – $80K depending on whether the supported teeth are crowns, bridges or dentures. It also depends on the kind of implants (zirconia vs titanium), who is performing the service and where the procedure is being performed. It also depends on how many teeth need to be removed and whether or not there is the need for gum or bone grafting. The best thing to do is come in for a consultation and we will determine you options, how long it will take, how much it will cost and whether or not your insurance will pay anything. Does Getting Implant Surgery Hurt? What is the Recovery Period for Dental Implant Surgery? Ceramic implant dentists and zirconia implant dentists may have an easier time with cosmetics since ceramic dental implant are tooth colored and metal free top to bottom.